Are You Too Sweet on Wine? 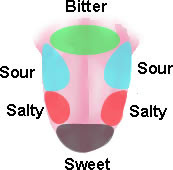 Understanding how to taste wine requires an understanding of the factors that contribute to its flavor. 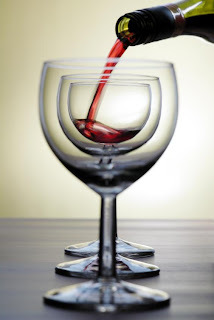 In Part II of 'The Zen of Wine', I discussed the astringent, tingling tang of acid in wine. This sensation is intensely detected by the receptors around the edges of the tongue near the front of the mouth. Every sip that washes wine over these receptors triggers this recognizable reply of tartness. Sweetness is detected in much the same way but provides a completely different sensation. Aside from smell, which greatly contributes to taste, the sensors at the tip of the tongue are primarily responsible for triggering the cloying sensation most of us dessert lovers crave. What makes sweetness so enjoyable? The desire for sugar is one ingrained in human instinct psyche due to the caloric value attributed to sweets. The human body craves that which helps it survive. In the absence of other food, sweets present densely packed calories we can not live without. How is this cloying contribution controlled within wine? Sweetness is controlled in one of two ways. Sugar is either left after fermentation (residual sugar) or added to the wine to increase its relative concentration. Residual sugar as a natural fruit byproduct can also be dramatically increased by stressing the grapes through drought or leaving them on the vines for extended durations often referred to as �late harvest�. If you have never tried such a wine, you will want to check out this example of a Late Harvest Zinfandel. Residual sugar can also be produced by stopping the fermentation process prematurely. Altering the duration of fermentation this way prevents all of the sugar from the fruit from being converted into alcohol by the yeast. There are several ways to put the brakes on this process: killing the yeast by �fortifying� the wine through the addition of alcohol, or by cooling the wine down to the point where the yeast fall asleep. The later process requires the �sleeping� yeast to be removed or �fined� by straining the mixture before restoring it to normal temperature. Although it plays a key role, sweetness is only one of several components in wine that contribute to the overall taste, feel, and balance. 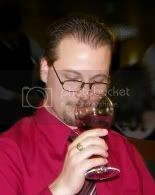 Over the next several weeks �The Zen of Wine� will address each component explaining how they contribute to the overall balance of wine. Understanding not only how these factors work, but also how they are perceived will aid in discerning them when tasting a bottle of wine. Vinogirl has always loved wines slightly high in acid, all TA that is. The converse, a high pH, is anathema to Vinogirl and the aging ability of a fine wine.